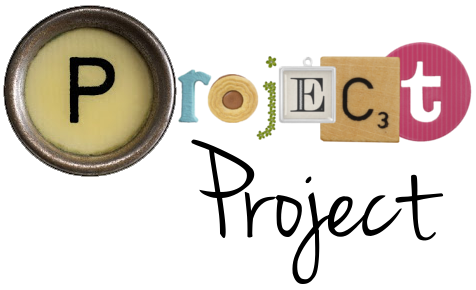 Project Project: Going to give thanks. This afternoon my little family and I will be heading down to Las Vegas to celebrate Thanksgiving with Nick's family. In spite of the hours and hours of driving, I am really looking forward to a little time away with my boys. I have to say that since Nick and I got married Thanksgiving has become my favourite adopted/American holiday. It wasn't until I became part of an extended family that I love that I really understood what the holiday is all about. It's not as much about eating yourself sick, watching football and getting up at 3 AM to go bargain shopping, as it is about simply being with your family and loved ones. Of course the food is undeniably a big part of it, but the more I see my mother-in-law (and this year my sister-in-law) plan and prepare Thanksgiving dinner for weeks in advance, the more I recognize it as an expression of love for their family. All that work is to create a special and memorable time, and I am so thankful for the people in my life who value that. I've been pretty remiss in my blogging lately (thank you for noticing! You love me! You really love me! ), but I will be back December 1st with a whole slew of Christmassy posts up my sleeve. I'll see you then! *Image, Norman Rockwell, Freedom from Want. Feel free to drop by our casa! Sorry our weather couldn't be better. This is freaking COLD for us! Give a hug to every North you see from us, and have a lovely time in sunny Las Vegas. Have fun in Vegas! My hubby is from there too! Green Valley/Henderson area.